No minimum number of nights! • Rates based on 2 golfers in a one bedroom/one bath Camellia Guest Room or 3 to 4 golfers in a 2 bedroom/2 bath suite, 8 golfers if a 4 bedroom/4 bath Resort House. 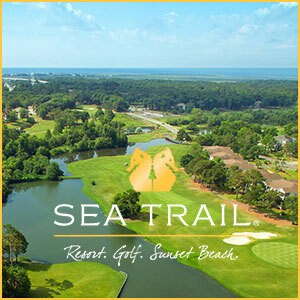 Courses Include: Azalea Sands, Brick Landing, Brunswick Plantation, Carolina National, Carolina Shores, Crow Creek, Eagles Nest, Farmstead, Lockwood Folly, Meadowlands, Oyster Bay, Pearl East, Pearl West, River’s Edge, Sandpiper Bay, Sea Trail Maples, Whispering Pines.